Dr. Galli S. Ascher spent much of her life devoted to caring and helping others as a medical doctor in the field of pathology with a specialty in hematology and cancers of the blood. When she passed away in February 2014 in Long Beach, CA, she left a legacy of altruism which will continue through a generous bequest of over $4 million to JNF from the estate of Dr. Ascher and her late husband Lionel F. Ascher. "The Aschers were big supporters of Israel," recalled Alan B. Unterman, a close family friend and Trustee of the Ascher Family Trust. 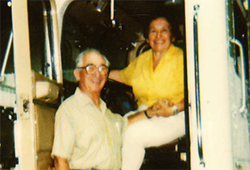 Unterman knew Galli since he was a young boy; his father David Unterman worked alongside her in the Pathology Department of the Veterans Administration Hospital in Long Beach for many years, where she held the position of Chief Pathologist. "I grew up knowing the Aschers," he said. "They were present at my bris, bar mitzvah, Passover seders, and other celebrations. I remember them to be an eccentric couple; Galli was extremely opinionated, while Lionel was more bookish. They were always on the hunt for new and different things." Born in Winnipeg, Canada in 1925 to parents who had emigrated from Austria, Galli graduated from medical school in 1950, and later relocated to New York City to complete her residency in pathology and microbiology at Mount Sinai Hospital. It was in New York when she met Lionel F. Ascher, a native New Yorker; they married in 1953. Before their meeting, he had studied English and Psychology and ended up moving to California to work for MGM Studios in Los Angeles. With the outbreak of WWII, he served as a Public Relations Officer, and was the recipient of several awards and medals of recognition. 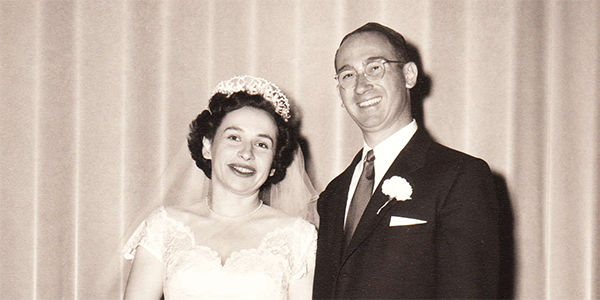 Later in life, the Aschers moved to Orange County, where Galli worked in the Pathology Department of the VA Hospital in Long Beach, and Lionel worked as a librarian for the City of Westminster in Orange County. At the time of Lionel's death in 2002, the couple had been married 49 years. Galli believed in charity for those less fortunate, according to Unterman. "I know she was a big proponent of education," he said, "and, specifically, opportunities for the advancement of women." The Aschers bequest will benefit JNF's program areas of Zionist Education & Advocacy, and Disabilities & Special Needs. They include supporting the Educational Center at Aleh Negev, a communal rehabilitative village in Ofakim that assists individuals with mental and physical disabilities; $1 million for the Muss Impact Fund, a special fund that sets up scholarships for high school students wishing to studying in Israel at the Alexander Muss High School in Israel (AMHSI); and contributing toward the Muss Capital Campaign, which will help finance AMHSI's plans to construct a new campus. In addition, the Muss Quad at the new AMHSI campus will be named in memory of Dr. and Mr. Ascher.